To get in the true spirit of Halloween, a month-long celebration is in order! 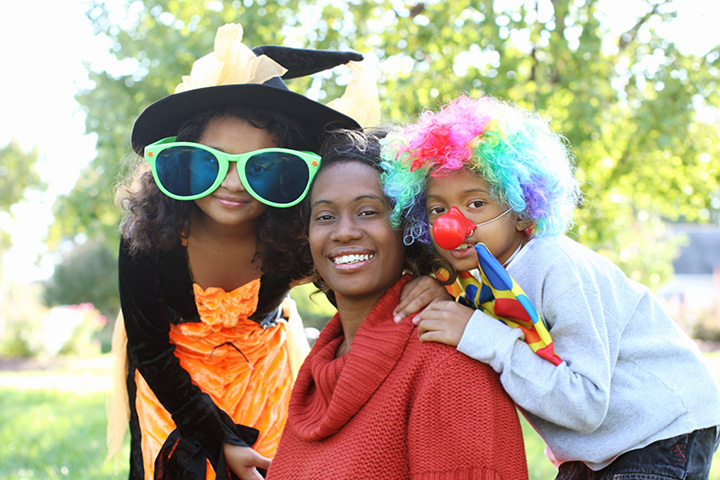 Across the state of Maryland, locals and visitors alike prepare for the big holiday by stocking up on candy, picking out the perfect costume, and screaming their heads off in a haunted house. Make the most of your Halloween in Maryland with these 10 great places and activities. Start your Halloween celebration off right with Rheb’s Homemade Candies. A Baltimore tradition since 1917, Rheb’s offers nuts, chews, crisps, truffles, fudge, solid chocolate, and Halloween-themed ghost pops, among many others. Field of Screams Maryland is the number one national ranked haunt in the state. Scare yourself silly with four haunted attractions, including the Haunted Trail, Trail of Terror, Slaughter Factory, and Hades Hayride. Enjoy fried Twinkies, Oreos, funnel cakes, and more while you try to survive the night. This Halloween, spend the weekend getting to know Bethesda’s hottest pubs with hundreds of your brand new friends. Dress up, grab a friend, and start the night early at 7 p.m. A free Halloween after party is included in your pub crawl registration. Join the Faux School for their next Halloween Masquerade Ball. Dress up and come with a date or meet a stranger in the night. You’ll enjoy dancing, professional photography, a happy hour, and cash prizes for best costumes. Seacrets’ annual Haunted Halloween Party and Costume Contest is an Ocean City favorite. Come with your best costume and you could walk away a grand prize of a trip for two to Jamaica. Live music starts at 5 p.m. and the party doesn’t stop until 2 a.m.
Gene’s Costumes is a local retailer that sells costumes for all occasions. Customers can rent or purchase their costumes. Never been there? Just look for the white house with the orange inflatable pumpkin on the roof. Talk about a spooky spot. While there is some uncertainty about whether this is Booth’s final resting place or not, many have flocked to the Green Mount Cemetery to catch a glimpse of this modest headstone. Booth is supposedly buried here, on the Booth family plot, with a white, unmarked headstone. Many believe it is his because a more elaborate resting place would draw unwanted negative attention and potentially vandalism. Others argue this spot is actually the resting place of his older sister Asia Booth Clarke. The headstone is usually covered in pennies, “as if to give Lincoln the final word,” according to Atlas Obscura. Take a ghost walk through Easton, Maryland, to learn about a murdered actress, a ghost haunting the Tidewater Inn, and a “phantom man in a blue suit who rides the elevator in the old jail.” The tour is topped off with a visit to Foxley Hall, the most haunted house in Easton. If you only go to Six Flags once a year, Fright Fest is the time to do it. The entire park is taken over by zombies, ghouls, and “the stuff of nightmares.” Make sure to head to the scare zones, including Necroville, Zombieville, Ghost Town, and more. Everywhere you turn, there’s another terrifyingly awesome attraction. Join real-life paranormal investigators in a Havre de Grace ghost hunt. The two owners have been featured in books and on television, and will introduce you to the underworld of Havre de Grace. Tickets are quite affordable.